Mommy Time Party, Homeschool Edition! Let me introduce you to all the great sponsors you’ll be partying with during my hour of the party. They’ve generously donated everything from door prizes to bigger giveaways and it’s going to be so much fun! Isn’t that an amazing line-up? I’m so pleased, these are all on my list of favorite homeschool resources. Mark your calendar for Tuesday, May 14th! RSVP and be entered to win your choice of either a $50 gift card to Amazon or Paypal! From now until the day of the party, you can RSVP for the party (which will only be used to send you one reminder email the day of the party) and by doing so you’ll be entered into the RSVP drawing! And while you’re there, you can ask questions to be answered during the party. As the school year winds down are you starting to thing about next year? Have you started buying homeschool curriculum yet? Do you have questions about they way your homeschool is changing? Are you trying to find a way to match your child’s learning style? Some of us have these same questions. While each co-host has chosen a topic, feel free to ask about anything you might be struggling with and we’ll open up the floor for encouragement and advice. See you on Tuesday, May 14th!! 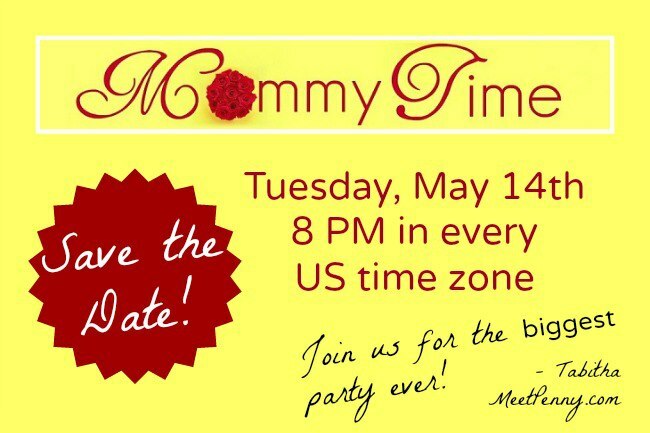 If you want to say on top of the Mommy Time Party event info for Tuesday, you can follow along on our Facebook Event Page. Check it out! Teaching Kids To Do Their Own Laundry? This looks like it will be a fun party!! Excited to see more about AOP! Me, too! I’m glad to have them on board!